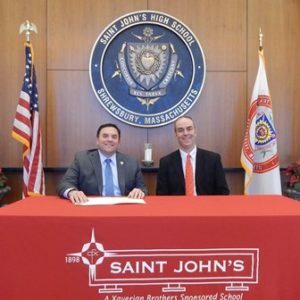 Shrewsbury – Saint John’s High School recently announced that their Mathematics Department Chair, Michael Mead, has been named as the school’s new Athletic Director. Mead will replace the school’s longtime AD, Patrick White, who announced his retirement in December. Mead will assume the role effective July 1, 2019. Mead, age 50, resides in West Boylston, and is married and the father of four children – two sons and two daughters. His oldest son graduated from Saint John’s High School last year and his youngest will soon be an incoming freshman. His daughters attend school in West Boylston. 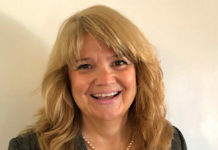 A native of Arlington, Mass, Mead graduated with a bachelor of arts in mathematics and psychology from Assumption College in 1990 and was hired that same year to teach mathematics at Saint John’s High School, having been hired by then Headmaster Brother J. Conal Owens. 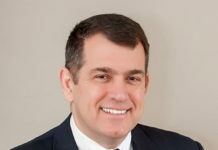 He received his masters of mathematics from Worcester Polytechnic Institute in 1996 and was named St. John’s chair of the Mathematics Department shortly thereafter. In 1991, Mead began coaching ice hockey at Saint John’s and has coached ice hockey at every level. That same year he became the school’s intramural sports director and served in that capacity for 25 years. He became the coach for varsity ice hockey coach in 2013 and expects to continue in that role. He is highly respected in the ice hockey community for his knowledge of the game, his excellent sportsmanship, and is appreciated by his athletes for his high expectations and consistent and fair treatment. “We have a legacy and tradition here at Saint John’s of leadership that is long-term visionary around the idea of supporting excellence and I think as we looked at candidates – this was a nation-wide search and we had a lot of very qualified candidates. 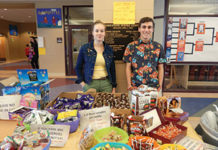 Mike stood out and embodies everything that we value,” shared Alex Zequeira, headmaster. When asked if he could both serve as athletic director and teacher, Mead said that he is a teacher first. “I would love to continue to teach…the big thing for me is the overall wellness of all the kids in the school. In today’s world you have to worry about their mental well-being and the stressors that these kids are under…. I look forward to the challenges that I will face,” Mead explained. “Educating the whole person has been a hallmark of a Saint John’s education since we were founded in 1898. It’s just taken different forms over the years,” noted Zequeira. Like White and Foley before him, Mead believes in the mission of Saint John’s High School and what it means and does for the kids that they teach; to continue in that is a great opportunity, he said.